If you have the preconception that senior centers are not for you, visit ours and judge for yourself! Not only are senior centers a home away from home for many Lancaster residents, they offer an exciting variety of activities. Chances are, whatever’s on the agenda on any particular day, the senior center will be bustling. Looking for free exercise classes, a walking club, or a discussion group where you can talk about the issues that concern you as a senior? Weekly activities promote fun, friendship, continued learning, community involvement and wellness. 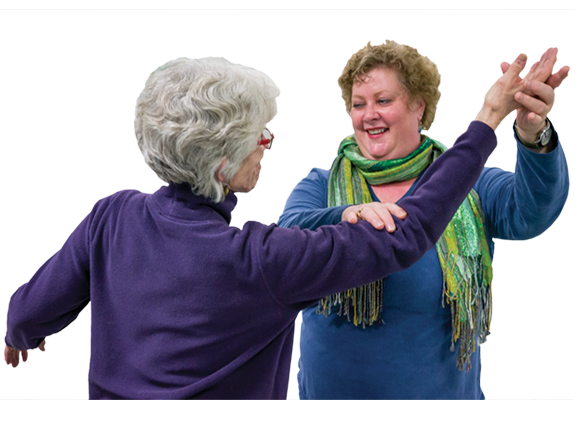 We offer quality opportunities to learn, stay fit, improve health and most importantly, laugh and have lots of fun. Staying (or becoming) active in your later years provides many benefits. Being social keeps the mind sharp, and being active kick starts your immune system to keep you healthy and ward off diseases such as Alzheimer’s and high blood pressure. The Lancaster Rec Senior Center utilizes a full-size gym, dance room, kitchen, computer center, a 52-inch flat screen TV equipped with a Wii game system, and two large program rooms. Funding from the Lancaster County Office of Aging provides transportation and lunch (donation requested). Membership is free and open to adults age 60 and up. A full slate of recurring activities are planned throughout the week, including exercise classes, games, educational presentations, bus trips, holiday parties, and craft and musical activities. Join the Rodney Park Happy Hearts Club, for adults age 60 and up. Weekly activities promote fun, friendship, continued learning, community involvement and wellness. Meet new friends, stay active and enrich your life. Happy Hearts Club members enjoy a wide variety of recreation activities and a hot lunch. Annual membership fee is $15 resident/$18.75 non-resident. Join the Lancaster House North Happy Hearts Club, for adults age 60 and up. Weekly activities promote fun, friendship, continued learning, community involvement and wellness. Meet new friends, stay active and enrich your life. Happy Hearts Club members enjoy a wide variety of recreation activities and a hot lunch. Annual membership fee is $15 resident/$18.75 non-resident.